There are already a few restaurants specializing in Chinese cuisine at Resorts World Manila in Pasay City, including Passion, Happy 9, Victoria Harbour Café and others. Even Marriott Hotel Manila serves Chinese-themed banquets during weddings, corporate functions and other events. But Man Ho, the latest restaurant to open at the hotel, promises to serve traditional Cantonese dishes with a contemporary twist. What makes it unique is the main man in the kitchen. Head chef Law Wui Wing has been cooking since he was 15 years old. After making the rounds working in a few notable restaurants in his home city of Hong Kong as well as in Japan, he became executive Chinese chef at the JW Marriott Hotel in Shanghai, the Pearl Restaurant at the Beijing Marriott Hotel City Wall and at the Marriott China Hotel in Guangzhou. Chef Law opened the Man Ho restaurant in Shanghai, which went on to win a citation as one of the top 10 Cantonese restaurants for three consecutive years by Shanghai Modern Weekly. 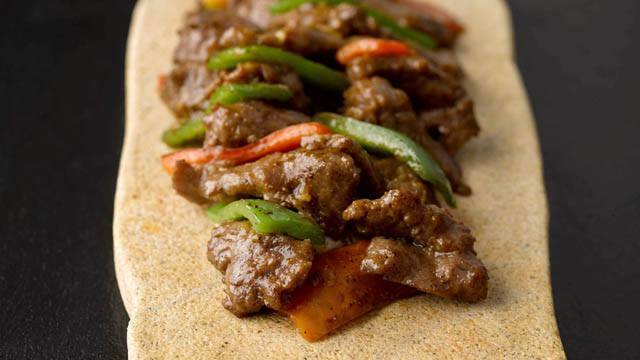 Posted in Manila since 2014, Chef Law now promises to serve only the finest ingredients to those who might feel like they’ve already sampled the best Chinese cuisine in the city. Diners can start with appetizers that include fresh Japanese Cucumbers with Savory Sauce, Smoked Pompano and Vegetable Salad with Sesame Dressing. 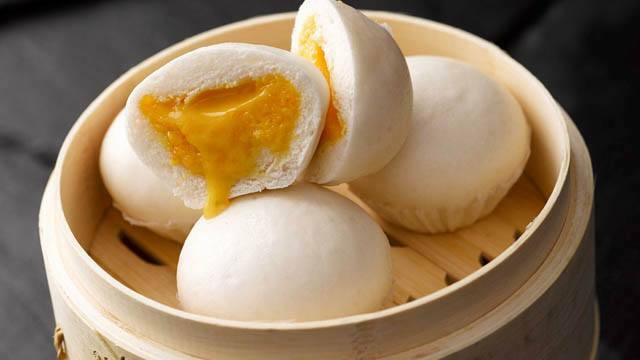 If you come in for lunch, try the dim sum, which is cooked upon order and served steaming hot. 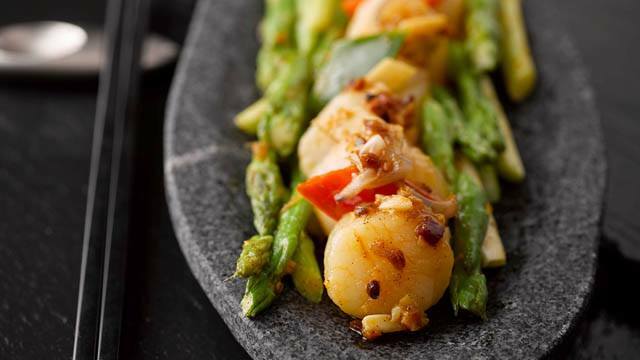 For the main course, there are familiar dishes like Fried Rice with Chicken and Salted Fish, Beef Fillet and Black Fungus with Ginger and Leeks, Sautéed Porcini Mushrooms and Braised Seafood Soup with Caviar. Chef Law also displays skill and creativity in dishes like the Poached Boneless Wild Pink Garoupa with Pumpkin Sauce and the Asparagus with Fresh Crab Meat Sauce. 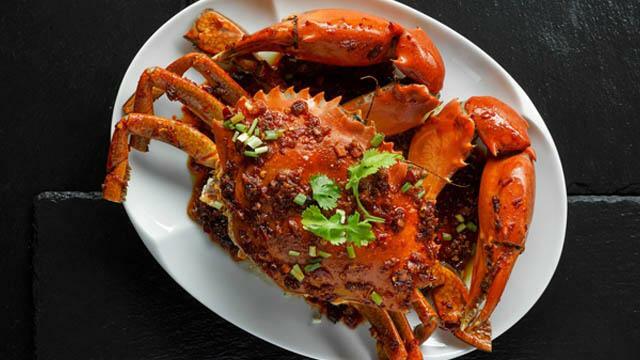 More adventurous diners can try the Deep Fried Bean Curd with Spicy Salt, Marinated Fungus with Black Vinegar, Smoked Duck Breast with Mango and the Roasted Peking Duck with Chinese Pancakes. 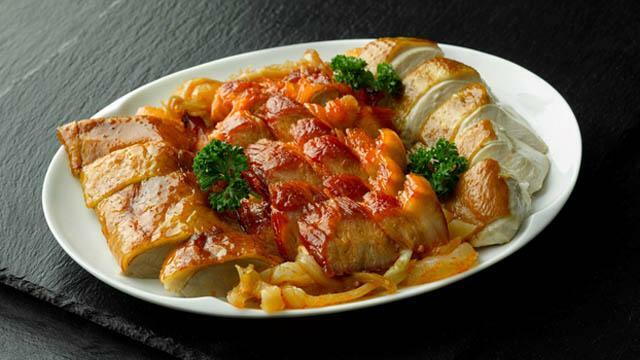 One of Chef’s Law’s specialties is Roast Goose with Plum Sauce. The goose is stuffed with Chinese herbs and dried in front of a fan for 10 hours, resulting in very dry skin prior to cooking in the oven. Chef Law says the technique makes the goose’s skin extra crispy. The restaurant also serves pigeon and suckling pig, both of which are imported from China. Chef Law acknowledges the importance of ingredients and says he makes sure of their freshness and quality above all else. 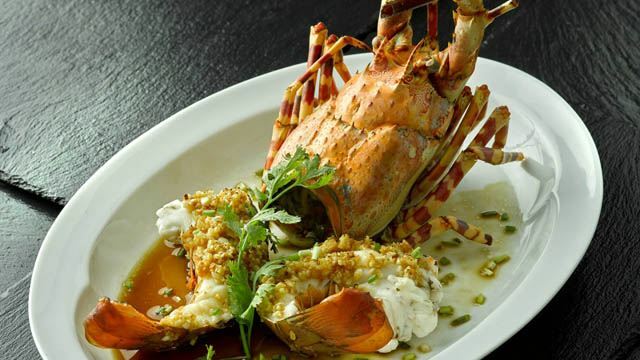 Seafood such as king prawns and crabs are flown in from Hong Kong, and Chef Law himself sometimes makes trips to Chinatown in Manila to look for the freshest ingredients. 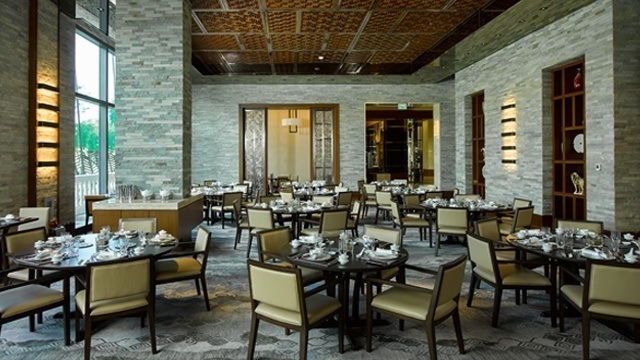 Man Ho, which opened late last year, is located at the new West Wing of the Marriott Hotel Manila.